How should chefs plan for their trial period…? 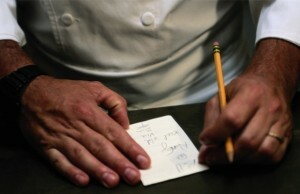 Blog › How should chefs plan for their trial period…? So, you’ve passed through the interview stage and been shortlisted, and now you are waiting to hear about your trial period. This is the critical point and many chefs fall foul of poor preparation and a casual approach. Careful planning is critical. An initial short trial period, normally 3-5 days is critical in my opinion, especially if you will be relocating to a new area or a new country. It acts as a safety net for both you and the client. It is critical for ensuring you meet the requirements for the position. It also enables you to get a real feel for the placement and the new location you may be living in. Everyone benefits from a properly organized and executed trial and here are some of things you should be considering. The trial period could be organized in one of two ways, through your agency or directly with the client, either way your considerations will be the same and your queries will need to be answered by your agency or the client. First, make sure your trial period is long enough, 3-5 days is perfect to showcase your talent and get a feel for a new environment. Schedule carefully, make sure you know what services you will be required to provide on each day and design your menus to suit. Factor in some free time to have a really good look around, especially if you are relocating for the position. Request a schedule of the services you will be required to provide on this period. Nearly every trial has a multi course dinner of some kind but I believe it is more important to ensure there is a “normal day” included. Believe it or not, these are the most important days for the principals and their family. Find out the clients preferences based on the specific schedule, and you will be guaranteed better feedback than just asking them what they do and don’t like. What do you like to eat for breakfast? Do you like freshly baked breads? What is your ideal lunch on a busy day? What’s your favorite family style evening meal? Put as much time and effort in to planning the “normal day”, as you would in to planning the fine dining dinner, and you will capture the hearts of your potential principals! Don’t forget to ask what your client(s) don’t like or don’t eat for dietary reasons, it sounds obvious but it is a key question that is forgotten far too many times. Now it’s time to plan your menus and services and this requires some research, especially if it’s an unfamiliar area or country. You will need to make sure the ingredients are readily available or if it’s possible for the ingredients to be organized for you. Most clients are happy to assign one of their other members of staff to assist with the provisioning, to ensure the chef can be creative and deliver the menu of their choice. When you are extended this courtesy you should make sure you are organized to make the life of your collaborators as easy as possible. If there is no one to assist with your provisioning, you will need to research what is available locally and design your menus with this in mind. The client invests a lot of time and money in the trial period, so it is important that you invest the same level of care and thought. This requires being organized when you travel. Check all of your documents are valid and in date and make sure you take them with you to the airport (yes people do forget…) and above all don’t be late (yes people have missed their flights before…). Being organized and professional when you travel is something I can’t emphasis enough. Consider what you will wear. Are you being picked up from the airport? If so, make sure to dress comfortably but smart. If you are being interviewed before starting, make sure you have considered what you will wear for this too. Check your chef whites, make sure they are clean and not damaged, if in doubt invest in some new gear, it’s a very big reflection on the way you cook. Finally, when you get to your trial, enjoy the time. Remember this period is also about you. Cook well and get to know your surroundings, this is the perfect opportunity to clear up any queries you may have with the position or the location. If you’re interested in hiring a chef or looking for a chef position, contact The Hazel Agency today at info@thehazelagency.com!